What a great post! 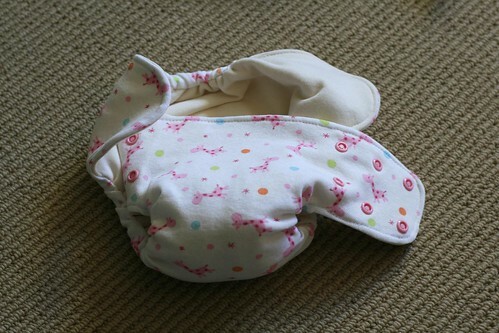 I have been thinking…and thinking and thinking some more about trying to make a dipe for my little one. Really, he is only in nighttime dipes, and technically we have all we need for that, but still…HAHA. What I really want is basically a one-size with no closures that I could pin or lay in a wrap, with just elastic at the legs and back. And I can’t decide which of your patterns would be best. ??? I am also interested in making my little guy underwear, and can’t decide between the sprightly soaker pattern and the stellar transitions. ??? Sorry for inundating your blog, maybe this was better suited for an email. 😉 Thanks for any help! Not a problem, I love questions!! I would go with the little one size, and just leave the elastic out of the front, it’s designed to be a one size fitting diaper, so even without closures, it would work best that way. 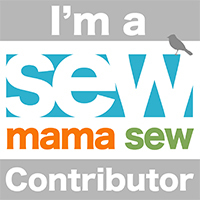 What kind of sewing machine do you own personally and do you also have a serger? I started out with an old singer, kept it till it died. Then bought a Huskystar c20 sewing machine and an embroidery machine and a serger. Sold the sewing and the embroidery machine and bought a lovely used combo one off craigslist. I have read so much about cloth diapering and my head is still spinning a bit trying to figure it all out:) I think I’m going to take the plunge and do it, since I have 3 in diapers now! I am still a bit confused when I am looking at the pattern for the Tighty Whiteys and the One Size. The fabric in the pictures does not look like a PUL, but a cotton or flannel? So where is the waterproofing at or do you still need to use a cover with these (I thought that the picture looked like the cover, but now I can’t tell). Or did you use a PUL film? Ahhh, I think I understand it now! Thanks for the explanation. Have you tried a PUL film before or know if that would be suitable for use in these? Thank you so much for posting all of these. I am going to make some newborn diapers for a friend who wants to cloth diaper but really doesn’t have the financial means at the moment. While I’m pretty good at other stuff, I’ve never tried the cloth diapers. I’m not too nervous about it, but I was wondering if velcro will work in the place of the snaps? I don’t have a snap press, and don’t really want to buy one.